When you visit local sake breweries in regional towns and cities, they might tell you that, “Brewery companies used to gather in this area”. Sometimes you see not just sake breweries but also shoyu and miso breweries, though they are decreasing in number. 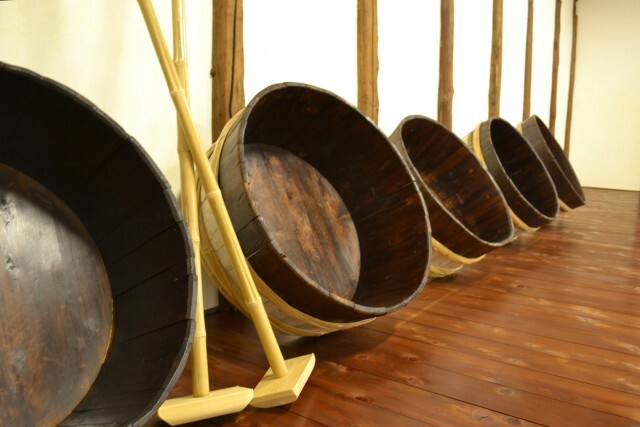 One of the reasons for this is that kioke, a wooden barrel, used to be indispensable for the brewing industry and they were so expensive that breweries used one kioke in turn; First, large sake breweries made new kiokes and used them for 20-30 years. 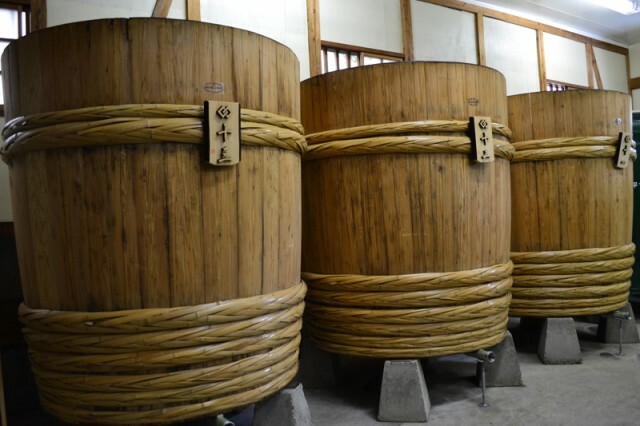 Then, shoyu breweries bought them and then afterwards miso breweries used them for another 30-150 years. So kiokes were continuously used for sake-> shoyu-> miso-> tsukemono (Japanese pickles). Kiokes are unaffected by outside environment and keep the temperature of content stay moderate. They even help microbes grow and create the unique flavor and taste for the content. In Japan, kioke used to have been cherished since 14th century taking the place of pots and jars. However from the late 1950s, they came to be replaced by large tanks including enameled ones and synthetic resin ones which are easier to take care of. At the same time, kioke craftspersons decreased in number. Recently people have realized the good quality of kioke, though only few of them were available for sake brewing and kioke craftspersons were at the verge of vanishing. Then there stood up sake breweries and shoyu breweries around Japan, who called for using remaining kiokes and nurturing kioke craftspersons. They promoted making new kiokes, and kioke-shikomi process is now being revived in various ways.